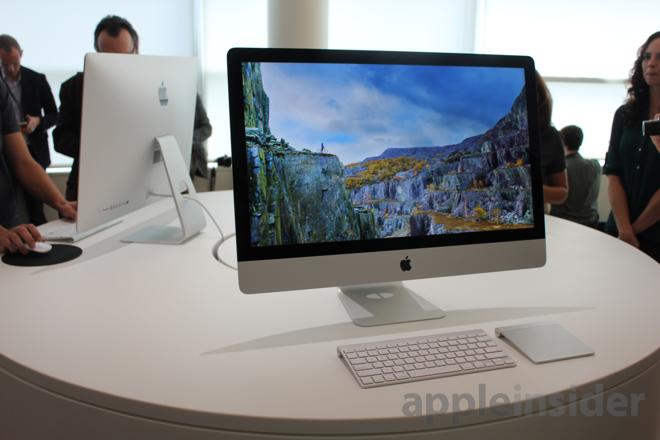 Apple's all-in-one desktop received a major upgrade on Thursday with the unveiling of the new iMac, featuring an ultra-high-resolution 5K Retina display that will be a major selling point for professional users working with high-resolution images. 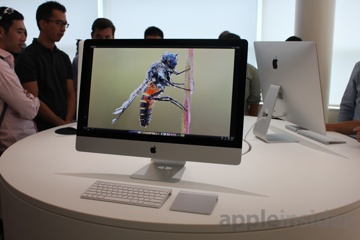 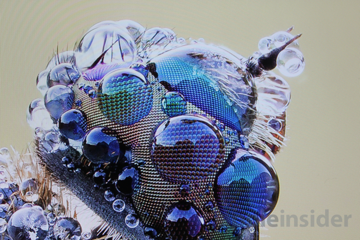 The new iMac with Retina display was unveiled at a presentation at Apple's corporate campus in Cupertino, Calif., and AppleInsider was on-hand to get a first look at the new 5K screen. 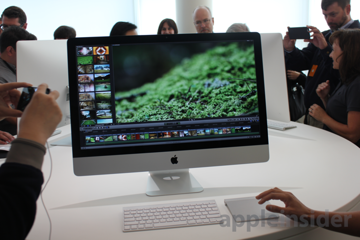 The new iMac has the same body as its predecessor, but packs in an incredible 5K-resolution display that allows photographers to see 17-megapixel images images in their entirety on the display. 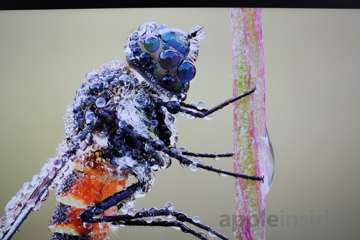 It also has enough horsepower to zoom into even larger photos, as our brief hands-on time showed the system is very fast. 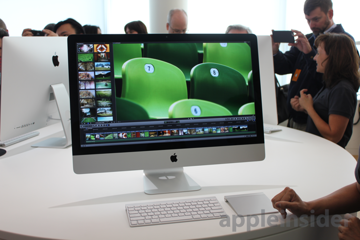 The new iMac also allows videographers to edit 4K video at full-screen resolution within Apple's Final Cut Pro X. 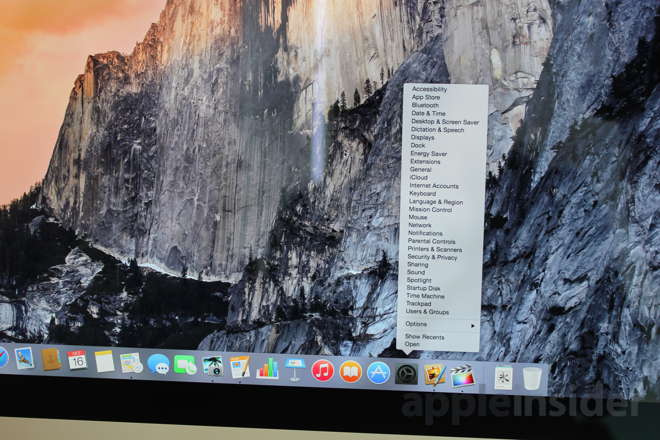 At first look, it's also clear that the new iMac really shows off the newly released OS X Yosemite. 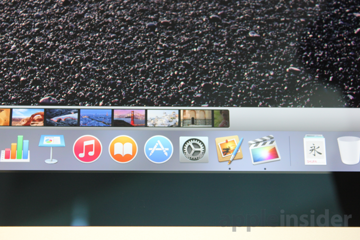 Frankly we felt the new operating system looks a little plain on standard-resolution displays, but it really pops on the new 5K Retina display. 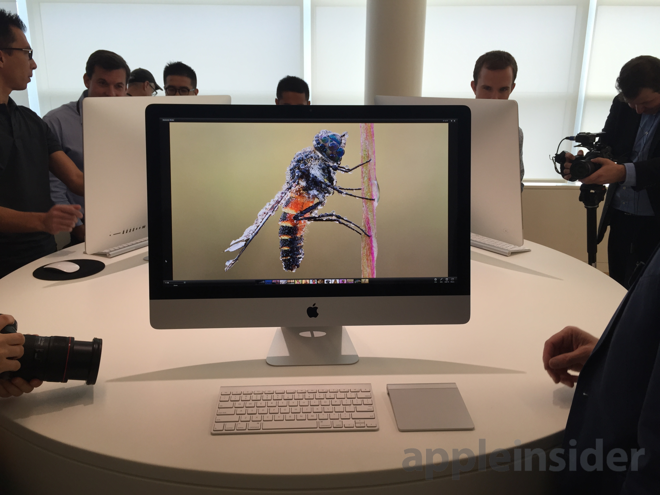 Unfortunately Apple didn't have the new Mac mini on display at the hands-on area at Thursday's event. 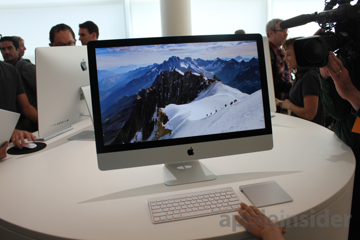 The company's small, affordable desktop gained Intel Haswell processors and saw a price cut to $499.